Performance Extras: Pre-Concert Talk: Helen Martin Studio 6.15pm, £2.50, Subscribers £1.50. In conversation with Emma Johnson. What is it about Mozart’s Clarinet Concerto that makes us love it so much? Is it the glorious melody of the famous slow movement? The sweet, playful humour of Mozart’s finale? Or the miraculous fact that Mozart’s last concerto turned out to be one of his very finest? 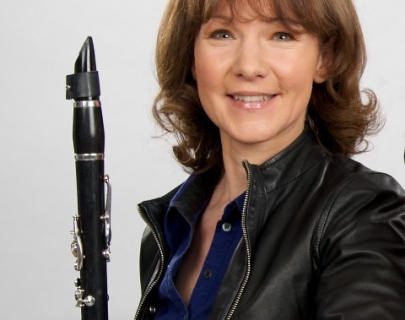 No clarinettist is better-equipped to answer that question than Emma Johnson. She’s been bringing all her charisma and warmth to this sublime music for four decades now, and she’s joined today by an orchestra of friends – a hand-picked premiership team of Europe’s finest young professional players. That’s the European Union Chamber Orchestra, and under Hans-Peter Hofmann they’ve framed Mozart’s lovely last word with three perfectly-chosen mini-masterpieces: Respighi’s playful salute to the baroque, Elgar’s haunting Elegy, and the delightful Fifth Symphony by Franz Schubert – one of the few 19-year old composers who could give Mozart a run for his money! A varied programme including Mozart’s Clarinet Concerto in A Minor which could be included as part of the AQA GCSE syllabus. Under 26 £13.50, Under 18 £13,50, Under 10 £6. 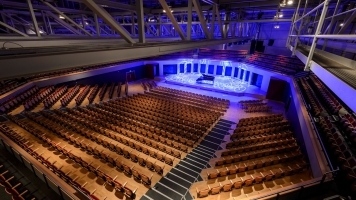 Contact j.branson@warwick.ac.uk to find out about FREE tickets via the Instrumental project.